On January 2nd this year I took a flight over my neighbors house using a store bought drone (Phantom FC40) and a GoPro camera that arrived as a Christmas present. I was very happy with the quadcopter and the footage I took. Then, about a week later, I sunk the whole kit into a lake never to be seen again. At the time I was pretty upset with myself – I made a rookie mistake and paid for it badly. But I also reasoned that since I had enjoyed modifying the FC40 I should try my hand at building drones instead of buying them. One year later and I’ve come a long way learning everything from soldering to PID tuning (don’t ask). But probably the best way to show the difference is to compare two videos taken one year apart. The video on the bottom was from a year ago with the Phantom. It took two separate 9 minutes flights and was then edited to keep only the best parts. The video on the top was taken in one shot, no editing and took less than 3 minutes to complete from take off to the fully automatic landing. In fact this year’s video even made it into the local news, and you can find the full version here. I’ve learned a huge amount that past year, gained some great friends and had a blast doing this, particularly as my #1 son and daughter were very involved in the build of both machines. The drone market is in a phase now where digital cameras were 10 years ago. Their capabilities are increasing exponentially while prices are plummeting. Even with how far I have come even the cheapest DJI Phantom 3 would outperform my hex in almost every way and these can now be had starting at under $700. Just a year ago something with that capability would have cost nearly three times that amount! For me to build the equivalent of a Phantom 3 Standard would cost around $450 in parts alone, and that is if I use cheap parts sourced from China that would need a lot of time to set up properly. Will I still build? I think the days of building from scratch are over, it just doesn’t make economic sense anymore. But I will continue to improve the ones I have as a way to learn and experiment. There’s also talk of teaching kids how to build them as part of a maker space project and that is something I would really enjoy doing. In the meantime, if you are thinking of getting someone a drone for Christmas, or have one and need questions answered…fire away! 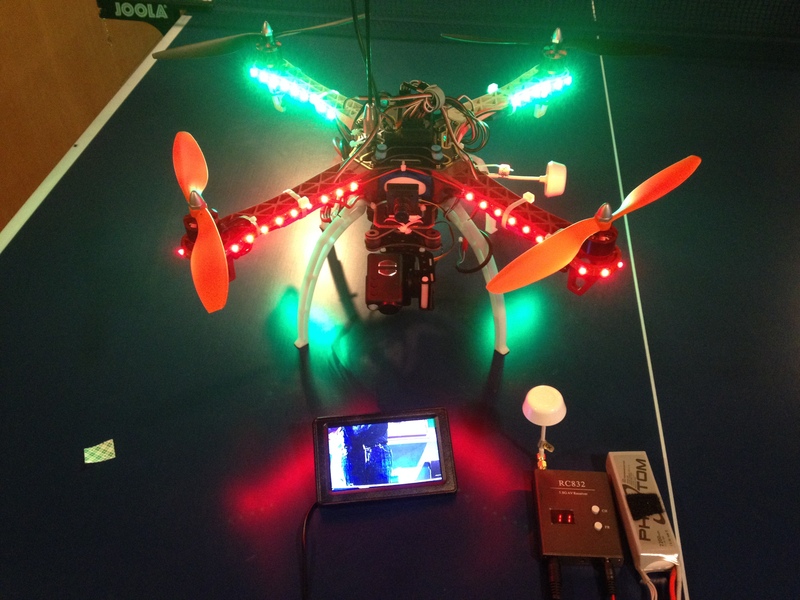 After our successful first flight it quickly became obvious that having a machine that can fly is just the beginning. In the weeks that followed there were a number of change, crashes, and not an insignificant number of problems some of which are still not yet solved. 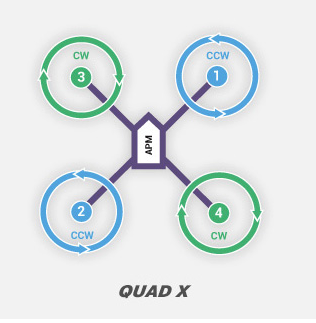 All of this occasionally has me wondering why I decided to build a quad copter instead of just plunking down money and to answer that we need to go back about 10 years to when I took my first tentative steps into the world of websites. Back then I started a web small business with a friend and the venture lasted about two years before closing it’s doors. Was I sad that the company closed? No! In those two years I had learned far more by doing than I could have learned in the same time at school, and the same applies here. Each problem is a puzzle to be solved, an opportunity to learn and, as I have discovered, a great way to make new friends. As I learn I like to give back to the community that helped me when I can and, as such, I plan to memorialize much of my learning here in small posts dealing with very specific subjects. Much will not be of interest to people, but my hope is that one day someone will benefit from the time it took to put this together. The first time I ordered something from China it was supposed to arrive in 2 to 4 weeks. It took 7! 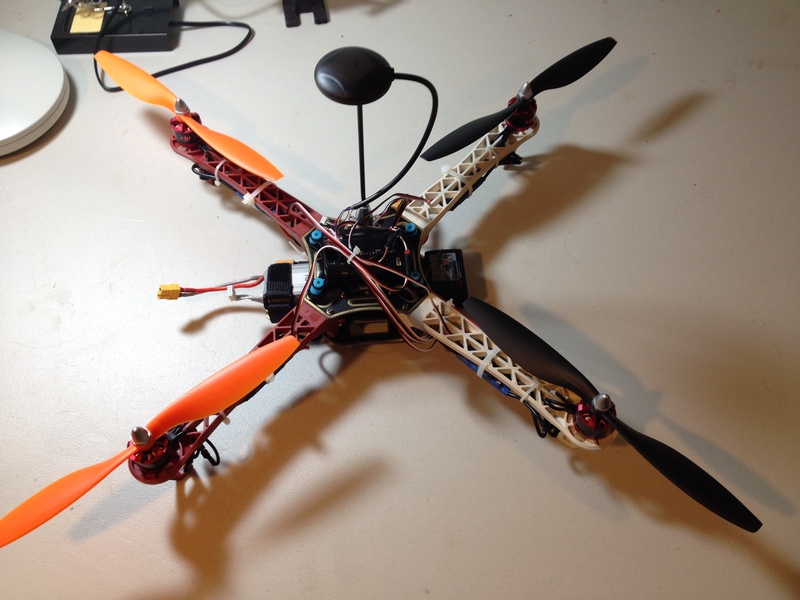 When I decided to build a quadcopter I found a kit on eBay that seemed just the ticket. The price was good and the seller had great reviews but, unfortunately, they were in China. Expecting the same delays I found myself nosing around various website the following weekend and came across a ready to fly H100 very similar to the one I was planning to build. The controller wasn’t as fancy as our build (no GPS) but it down from the regular price of almost $500 to just $200. My mind got to reasoning this way. The parts aren’t going to arrive for a quite a while, so if I buy this I’ll have something to fly until the other one is ready. Having a pre-built one nearby will help with figuring out where things go. I’ll be able to upgrade the controller and add a GPS later and can then either have two fully features quads or could sell one (perhaps even at a profit). I had a little extra income which would more than cover the cost of this. That price was so good…I’d be throwing money away if I didn’t buy one! After putting it into and out of the shopping cart a few times, I finally pulled the trigger. Since it was only coming from California it would arrive on Friday…the parts for the build arrived the Wednesday before! Not only that but the weather turned nasty bringing wind, ice and snow with the result that the maiden flight of this machine ended up occurring about 5 minutes before the maiden flight of the our build. Thanks Mr. Murphy – you did it again! 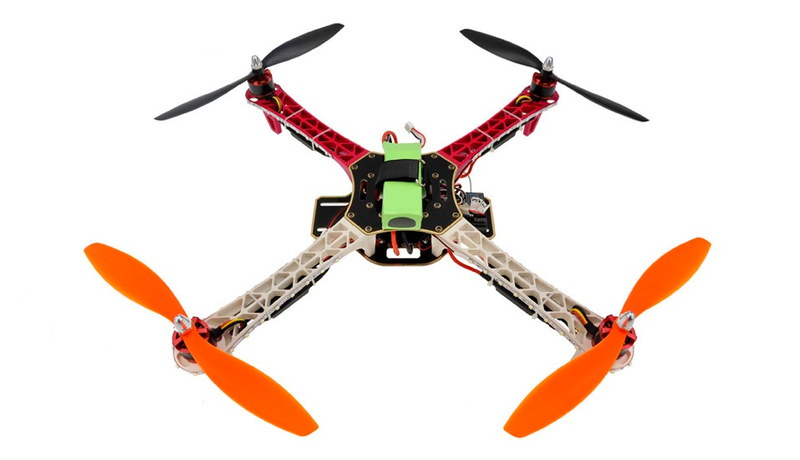 Building an F450 Quadcopter – Day 6 – Ready to Fly? Finally the weekend arrived and, with the new flight controller in hand, we could get to work. S. was at a sleepover again so on Friday I performed the ESC calibration and confirmed that in all motors were finally working! Unfortunately when I tried to run a normal flight test (minus the props) the double flashing red LED told me the pre-arm checks were failing. I pondered the problem for a while and then realized the FC was in loiter mode which requires a GPS signal to work. There’s not much GPS signal reaching my basement! Switching it to “stabilize” mode had it firing up and we were finally ready to put everything together. I waited for S. to arrive and we set to work. 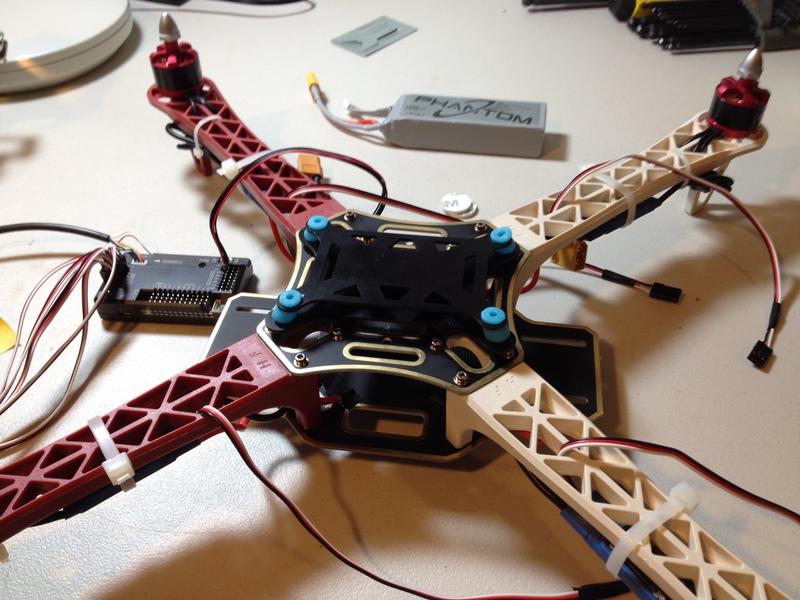 She installed the anti-vibration plate, flight controller and radio receiver. I put the GPS post together and she added the GPS to that. The post had a little hinge on it and I couldn’t understand why, so when S. asked me which way it should go I told her it didn’t matter. I figured out later that it allows for lowering the mast for transport. By pure luck it turned out we had installed it correctly. We had a hard time figuring out where to put the power module and it ended up awkwardly squeezed alongside the battery. That might need to be moved if we decide to go for a larger battery in the future. S. checked the motor rotation, installed the props and then, all too soon, it was ready to fly! It wasn’t pretty but we were both over the moon with it. S. had insisted that we set up my phone to record a time-lapse video, which I had to admit was fun to watch. See below. Not much to do now but give it a test flight, or so I thought. With the conditions outside being 13f and 20-30mph winds it looked as though we would have to hold off for now. To be honest I was nervous about this first flight. I’ve seen a lot of videos where something small or silly caused the quad to flip and when it happens, it happens FAST! I went to bed worrying about that and, as is often the way, woke up with an idea on how to make that first flight almost foolproof! Next post: The first flight (why second guessing your daughter is a bad idea).